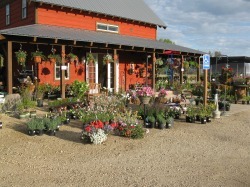 We are located on the east side of Scenic Highway 55, 6 miles south of Cascade, Idaho at the corner of Alpha Lane at mile marker 108. Hours of Operation – 9 AM to 6 PM 7 days a week from May 1st through October 15th. We are closed for winter from November 1st till sometime in April - when the snow melts. We accept cash, debit cards, checks, Visa, MasterCard and Discover.